Occasionally friends visit the town where I live in France. 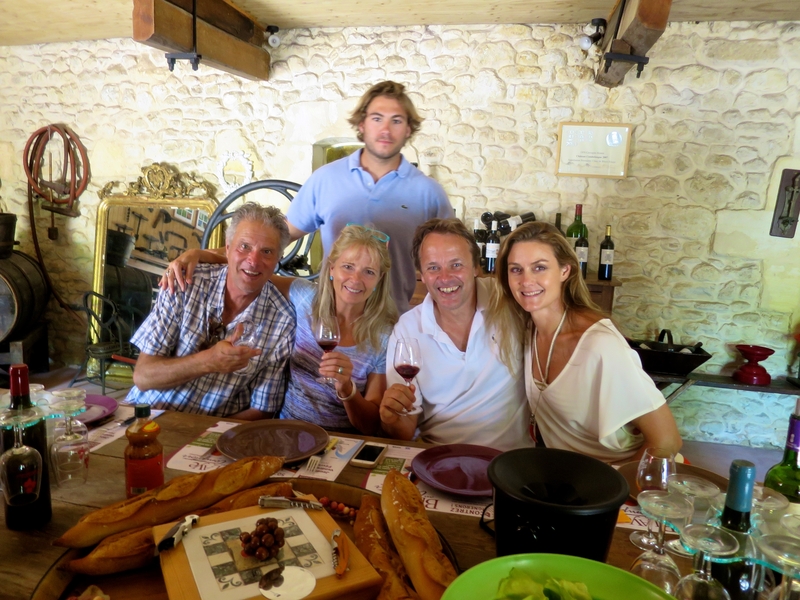 The first visitors were family members, and we drove out to a wine château where a friend, a wild haired young surfing winemaker named Nicolas, lives with his family in the nearby village of Cars. Nicolas and his father Denis do not give tours of their wine château because they are too busy tending wines and fermenting cuvées in oak and steel. But because they had told me to bring family and friends, I had phoned them in advance about a rendezvous. We agreed on a visit. A day later, a sister and her boyfriend, friends from Blaye and a visiting Dutch couple drove there in two vehicles. Months earlier, I had bought a twenty-year old Mercedes from a friend in Blaye. It had bulletproof windows because it once belonged to the Nigerian ambassador in London. Four of us piled into that car and cranked up the air conditioning, while two others piloted another vehicle. We met at the château. Nicolas gave us a tour of his Merlot and Malbec vines in the scorching heat. He pointed out horses on grassy fields across a valley. 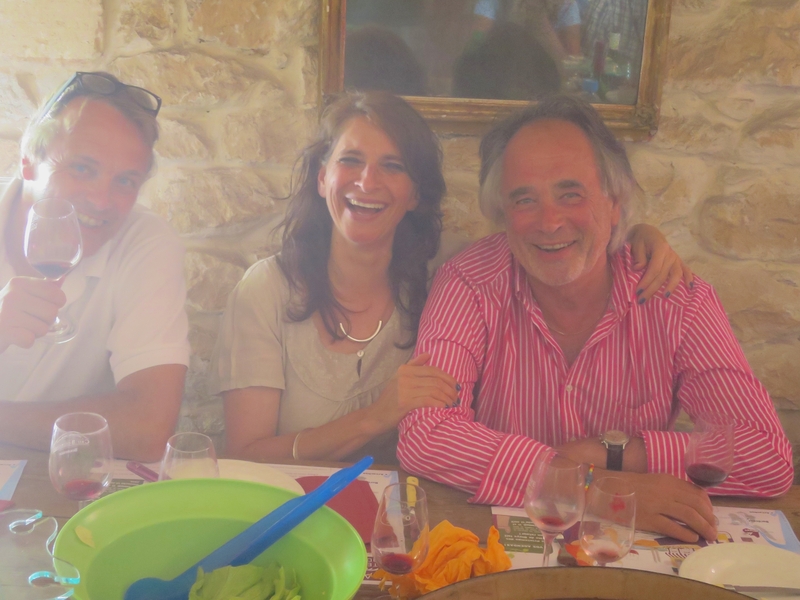 He then brought us inside a beautifully decorated stone building where he and Denis had uncorked at least seven vintages to sample. There was a massive plate of charcuterie on the table. While we sipped and nibbled, Denis set fire to old grapevines in the fireplace, then clamped entrecôte steaks in a wire mesh holder and grilled these over crackling flames and jumping embers. While we ate this abundant food, our garbled and multicultural conversation flowed with the wine. In the late afternoon we stumbled outside to the shade of trees on a patch of grass. The temperature was deliciously cool. Out came a guitar, and tunes flowed while more corks popped. Finally, we drank cognac, shook hands, kissed cheeks, patted shoulders and decided it was time to depart and sleep soundly. 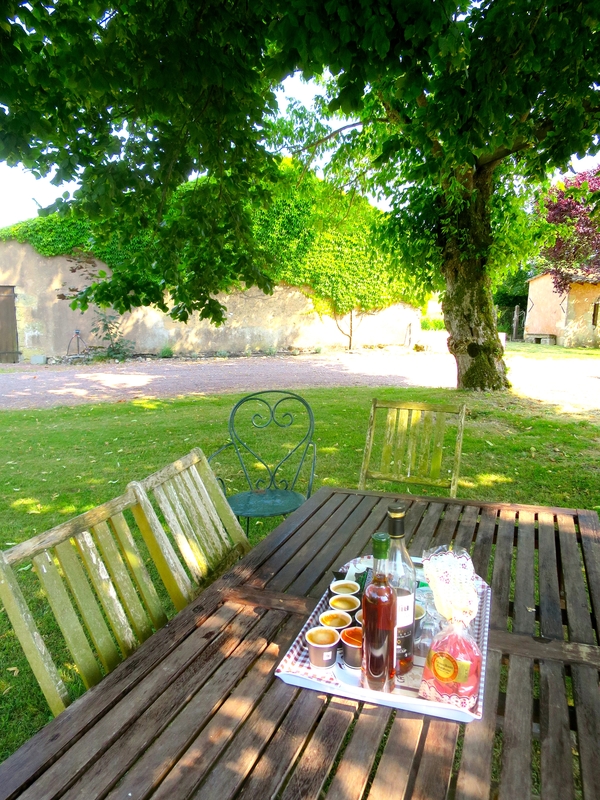 Eight hours after our arrival, jazzed on French wine and food and countryside living in a vineyard without tours but with unrushed ambiance, we returned to Blaye. I phoned Nicolas he next afternoon. I asked, as agreed earlier, to tell the total cost of food and wine and the visit. I would pay him within a week. When I insisted on paying, he refused. Instead, I thanked him and invited his family to dinner. Denis and his wife, together with Nicolas and his sister, arrived. We ate at La Galerie in Blaye, an art gallery/restaurant with live guitar music. We sat at a long wood table scarred with ancient dents and dings and ate healthy portions of maigre fish from the estuary, local white asparagus, magret du canard duck breast and roasted veal with baby potatoes while we poured several magnums of beautiful 2009 wine. When they heard we had paid for their meal, Nicolas and his father were shocked. The next day, Nicolas showed up. Not to be matched or outdone by our dinner contribution, he handed over a precious double magnum of their 2002 red wine. I laughed, wondering what we would next do in return. Events like this make living here precious. Lovely account of hospitality. What would our world be like if we all lived lives characterized by such openness, kindness and GENEROSITY. Not to mention the fellowship, fine food and stellar vino! 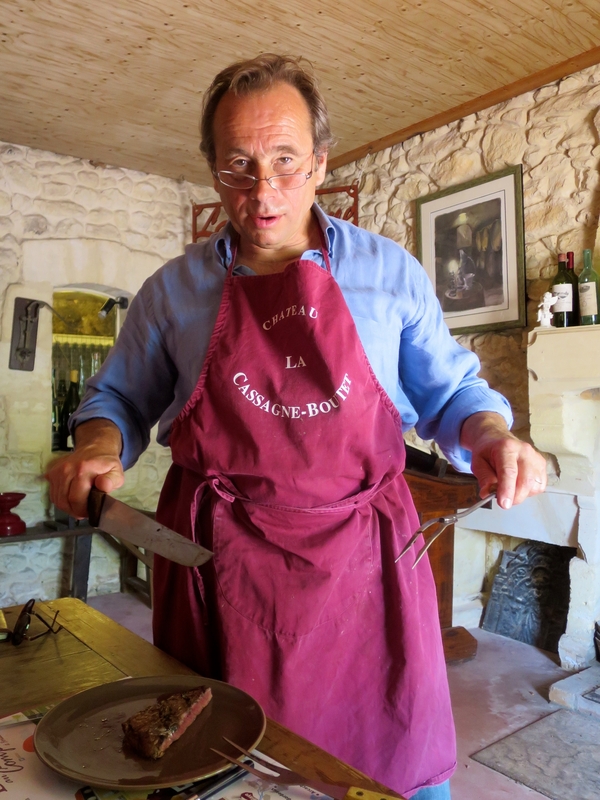 hi tom…it’s Always a pleasure to read your stories about life in Bordeaux!